OneBit is on the verge of achieving a holy grail of sorts in regards to Bitcoin payments. 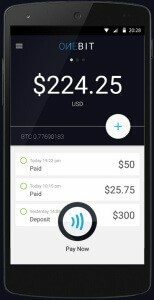 The company is developing a technology that will use Near Field Communication (NFC) to conduct Bitcoin transfers. Near Field Communication has emerged as a popular payment form because it allows people to use their smartphones and other devices to make payments. Now, consumers may soon be able to use their smartphones to make direct payments with cryptocurrency. OneBit has been working in collaboration with MasterCard and other companies to launch the new service. In fact, OneBit first pitched its idea and received startup support when it participated in a MasterCard-sponsored hackathon. The startup’s CEO Toby Hoenisch had been interested in Bitcoin for a few years, but didn’t come up with a viable business model until participating in the hackathon. Initially, OneBit aimed to harness MasterCard’s PayPass technology. The ‘tap-and-go’ technology allows people to make payments with smartphones, smartwatches, debit cards, and other enabled devices. This easy payment technology could make it very easy for people to use Bitcoin not just online but also in the real world. 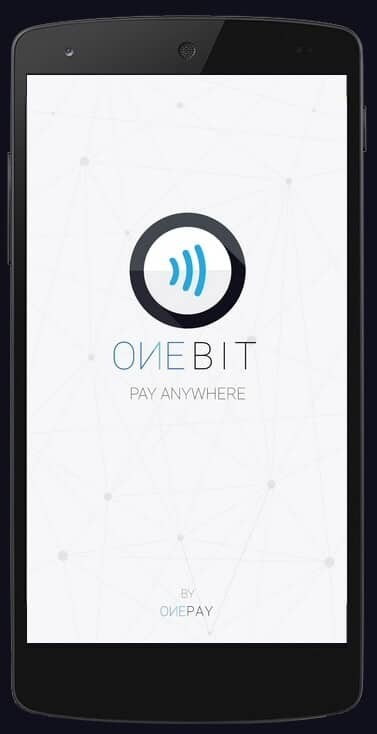 However, the company has since expanded to enable the OneBit app to work outside of the PayPass network and to harness NFC technology as a whole. While MasterCard has been an important partner in the project, the company’s leaders took to Reddit to explain some points and made it clear that, at this point, OneBit does not have an official partnership with MasterCard, Visa, or any other company. The startup’s management team also pointed out that for now the most likely way to pay with Bitcoin will be to do it in a way similar to a pre-paid debit card. Whether the company’s use of credit card company’s NFC devices could lead to future legal complications remains unclear. This past April OneBit joined the Startupbootcamp FinTech in Singapore to obtain more funding. The company’s technology has progressed well and is now in the alpha stage of testing, meaning real world testing to hone in on any shortcomings in the app and system. At this point it looks like the technology will be ready for consumer use in the near future. The company also demo’ed its technology in a recently released video, which shows a customer entering a Starbucks and paying with his smartphone. Just a quick tap and the money was deducted from his Bitcoin wallet. To use OneBit all funds must be prepaid into the company’s app. The app will then display the user’s funds, ensuring that customers always know what they can afford. Importantly, OneBit promises to deliver the sort of technological breakthrough that could encourage more widespread adoption and use of Bitcoin. Right now, the perceived difficulties of using cryptocurrency and the fact that it is primarily used as a digital currency for online transactions has likely held Bitcoin back in terms of mainstream adoption. Enabling Bitcoin to be used via standard credit card payment software will make the currency much more attractive for mainstream consumers and, as adoption increases, it will make the currency much more attractive for businesses. Of course, OneBit will have to first deliver its technology, but at this point it looks like it will be only a matter of time.